City knew this would be a tough encounter against a strong Gloucester squad and it certainly was. Gloucester took the initiative and went at City early on and City were up against it. When Gloucester took the lead City knew they had to step up and they did, starting to find their passes and get better possession. 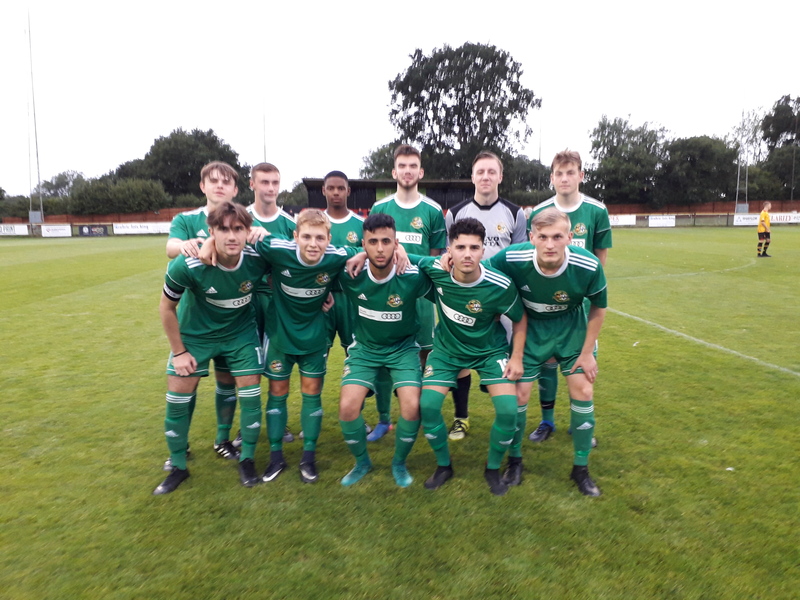 It was a fine move that lead to Captain Christos Gabriel finishing from 10 yards and having equalised, City them got more of a foothold in the game. Gloucester's GK made an unbelievable save to keep it at 1.1 and then Sean Dayus did the same to keep City level. Milo Elmes then cleared one off the line to keep the scores level at HT. City came out firing in the second half and created several half chances but they couldn't get a second. Gloucester then broke away and as City didn't clear the ball a superb first time shot was smashed home to give the Home side the lead. At 2.1 City made changes in search of another equaliser. The game became a real battle and as both teams gave their all, the ball fell to Matty Patrick-Rivers in the box and he hammered a second in for City and at 2.2 penalties looked odds on. At FT two good teams faced each other in the shoot out. Sean Dayus saved Gloucester's first kick and then it became a battle of nerve. Both teams held firm until it came to Patrick-Rivers rivers again and he neatly slotted Home City's final spot kick to take City through 4.5 and into the semi final. It was a great game which neither team deserved to lose in that manner. City had to dig deep and work hard to get through and they played some lovely football at times in this hard fought encounter.